A classic Windsor chair reduced in size for a young child. 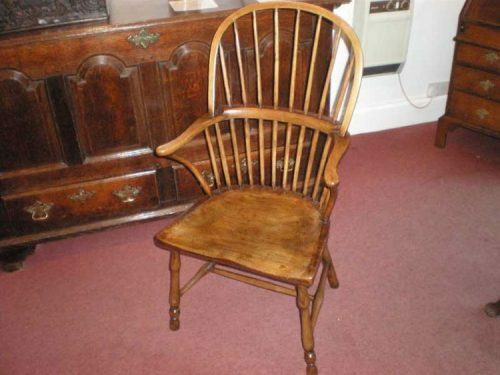 Windsor chairs are the best known form of a regional chair, produced in many areas of Britain. They were comfortable and strong, but also relatively cheap, and were therefore suitable for use in cottages, farm houses and taverns. They were made in large numbers from the mid-18th century until the end of the 19th century. 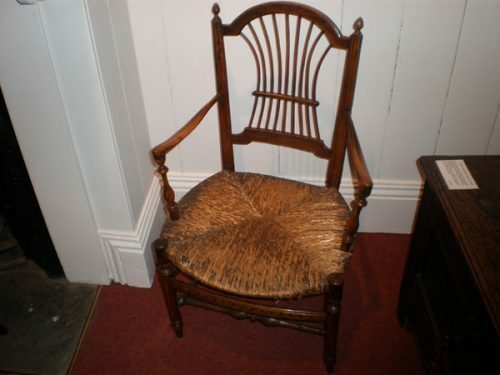 The term ‘Windsor Chair’ was first used in the 18th century but its origin in not clear. 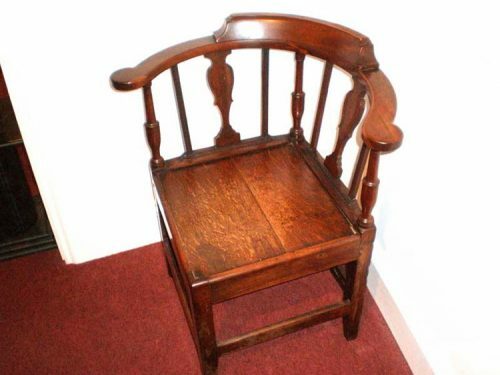 Windsor chairs are defined by having a solid wooden seat into which the chair-back and legs are dowelled, or pushed in to drilled holes, in contrast to standard chairs where the back legs and the uprights of the back are continuous. 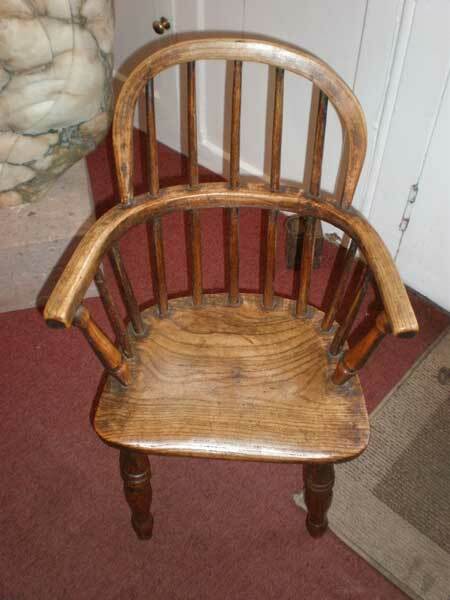 The seats of Windsor chairs were carved in to a shallow dish often in elm and saddle shaped for comfort. The legs and uprights were usually turned on a pole-lathe by ‘bodgers’ working in make shift workshops in the woods. 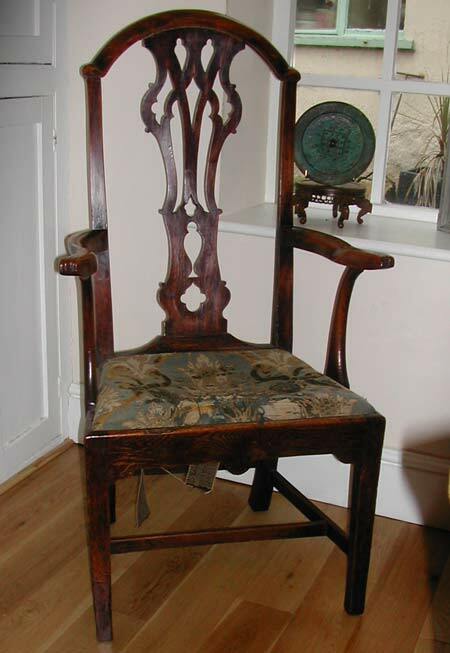 This charming example is original throughout and constructed of ash with an elm seat and dates from c.1850.